LawnBoyz Lawn Care & Landscaping, Inc.
What do you want to see when you drive up to your home? -- waterscape ... always wanted the sound, sparkle, and calm of a fountain or pond? -- lightscape ... like the look of those homes with exterior lighting that adds functionality, beauty, and safety? Wish you had more living space? --how about an outdoor room? 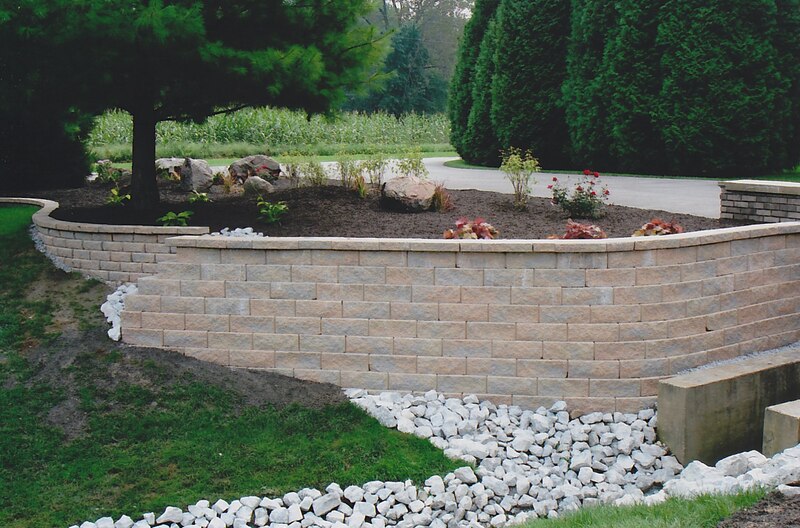 use of contrasting erosion control and dry-bed stonework. 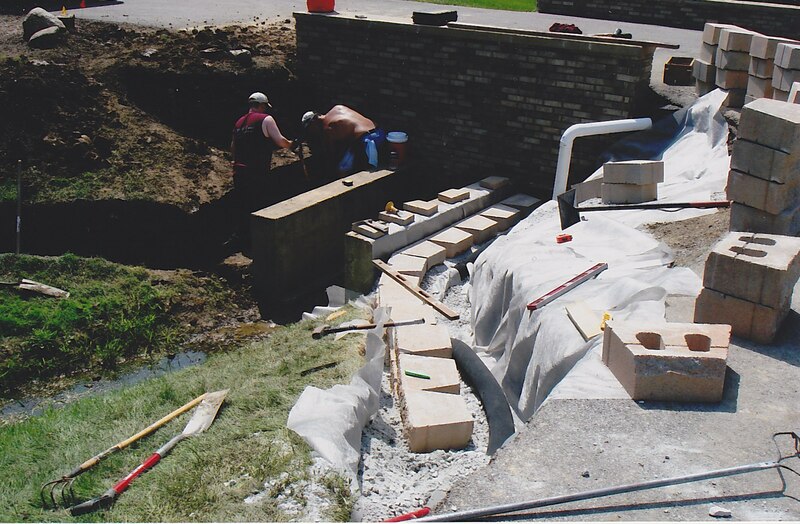 Click these pictures to see the before, during, and after images of a recent project. 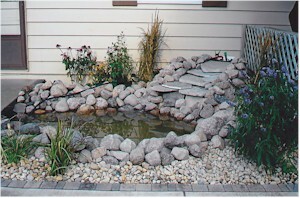 Take a look at a unique water feature! Click on the image to the left to see and hear a client's video of his new pond, waterfall, and fountain in daylight or nighttime. 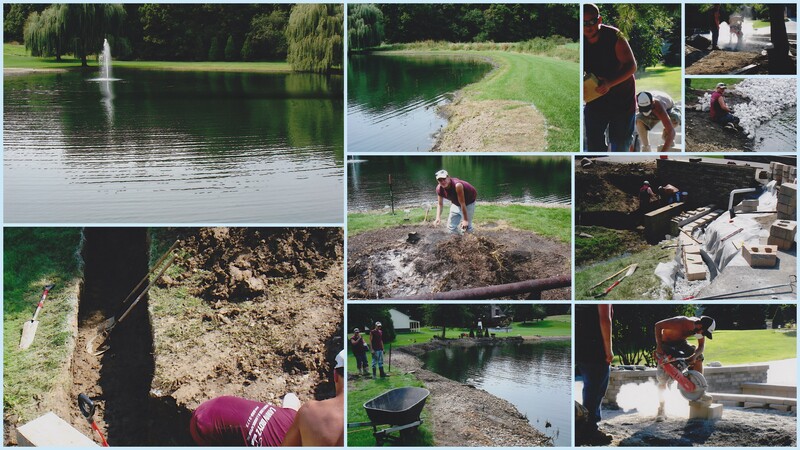 Click the image to the right to see a collage of pictures showing its development. Owners/management over 100 years combined experience. 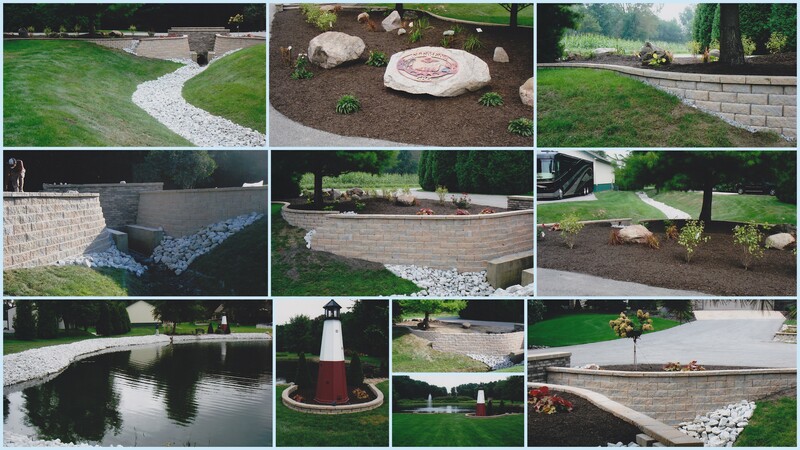 This site is a collaborative effort of Jeff Bixenman (LawnBoyz Inc) and Steve Waldeck (aVision, Inc).